One task which occupies Percy Bysshe Shelley for the duration of the fifty-five stanzas which constitute Adonais is the undoing of Keats’ transcendentalism with, not exactly empiricism, but semi-empiricism. 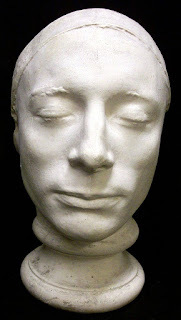 By dousing the archetypal with the empirical— the facticity of Keats’ corpse, of his having been reduced, materially, to waste— Shelley reveals that the essential purpose of the poem, which is derived from the Odal Cycle, is to denude the transcendental, and its music-world, of its glamour so that we may see the nothingness levels of consciousness which constitute the greatest threat to it. If I say Shelley is only semi-empirical, it is because whatever one would like to call “Death’s pale court”— if not transcendentalist, some kind of inversion of transcendentalist— not to mention the necrophilia incidents with female “Splendors” (including Urania, and her gauche palimpsest over Psyche’s delicate refinement)— creates a textual landscape which affirms metaphysical, as well as physical, reality. Yet all the metaphysics cannot conceal Shelley’s revelation of who the human race actually are, as destroyers of archetypes, transcendentalism, music— wolves, ravens, reptiles, invulnerable nothings. The energies Shelley is channeling have some Satanism in them— the perversity of tearing away what is too pristine, to replace it with the vulgar which is nonetheless more truth consonant, now that the angel (Keats) is fallen. The Satanic impulse also guides Shelley to the place that Keats is subject to I-It objectivity— his corpse, which may be all he is, is all that is left of him, so he becomes a “thing,” just as death may constitute eternal nothingness (a semi-empirical sensibility cannot tell).